Roku just announced an update to Roku OS 7.6, aimed at helping users find streaming content—albeit in a slightly creepy way. The update will bring several new features to the company’s streaming boxes and televisions. But one of the standout features from the new release is a feature Roku calls ‘More Ways to Watch’. Which determines the cable show you are watching and then scours online streaming services to discover if there’s an on-demand alternative available. This feature uses a technology called Automatic Content Recognition to recognize and analyze the programming you are watching on tethered devices like cable boxes. 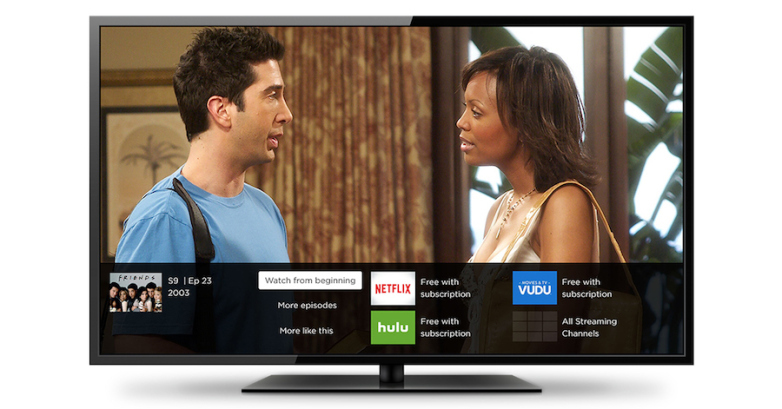 The Roku TV will make suggestions to programming on streaming services—like Netflix or Hulu. That you might like based on what you watch from traditional sources. Not only will your TV tell you where you can watch more episodes of the show. But it will give you the option to start that episode from the beginning and will suggest similar content, too. The feature will be available via an opt-in once the update hits in the coming weeks. You will have to enable in order to use it. And can be choose to turn the feature off at any time in the settings menu of your Roku TV. In addition to this on-demand search feature. The new update improves Live TV Pause by adding the thumbnails of the content. Allow broadcast antenna users to create their own list of favorite channels and add customizable input naming. There is also a support for Replay and Closed Caption. Roku’s new feature update is rolling out to user devices now. Roku expects that all supported Roku devices to get access to the feature by june.